Elemental Creepers for Minecraft 1.4.4. Elemental Creepers is a popular modification for Minecraft which changes the theme of creeper mobs and make them look more stronger and evil. This mod brings total 10 creepers theme, all have different visuals, skins and abilities. Some create, snow, fire, cookies other explode and destroy your blocks. Description: A tool for destroying creeps in Minecraft. * Go to Start Menu > Type %appdata%/.minecraft/bin and hit enter. 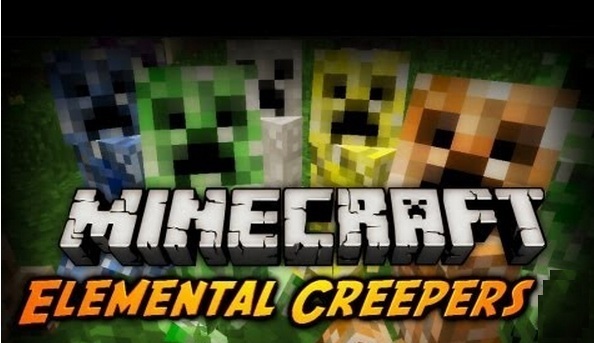 * Download Elemental creepers mod client from link above. * Open Mod zip file and move all its contents into the jar. * Run Minecraft to verify installation. – Back your saves before using mod. – You can report any problems/feedback on official thread.